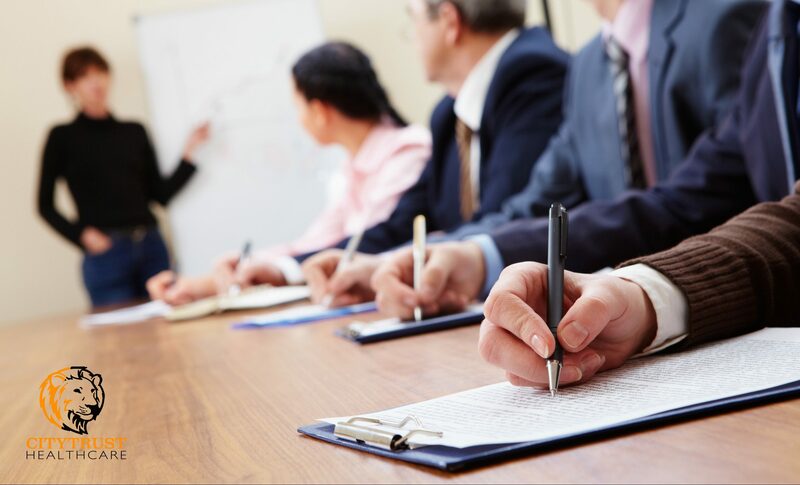 We are able to offer Training Courses at our Chelmsford and Cardiff Offices, alternatively we can arrange for the sessions to be provided at your organisation or a selected venue. To book any of our Training Courses for either yourself or your organisation please contact our Head Office on 01773 775 344 (Derby) or call 0115 852 4121, 07889 461 919, 07582 453 866 to discuss your requirements. Alternatively you can email your enquiry through the Contact Us page leaving your name and contact details. We endeavor to provide the highest quality training. The feedback we have received from our care staff reflects this. Taking the Dementia Training Course as an example, the recent results of the 'Evaluation of Training Analysis' found that 100% of CityTrust Healthcare staff answered either 'excellent' (86%) or 'good' (14%) to course delivery, venue and resources. In addition to this you can also hire our fully equipped Training Rooms at the Chelmsford and Cardiff Offices. Please find listed below the Training Courses CityTrust Healthcare can provide to you, including prices and approximate times. Please note all prices are per person. A group session, however, which we class as a minimum of four and maximum of ten candidates, is charged as a four person session. Please note, that our training courses are free to all those who join CityTrust Healthcare as a Care Worker. 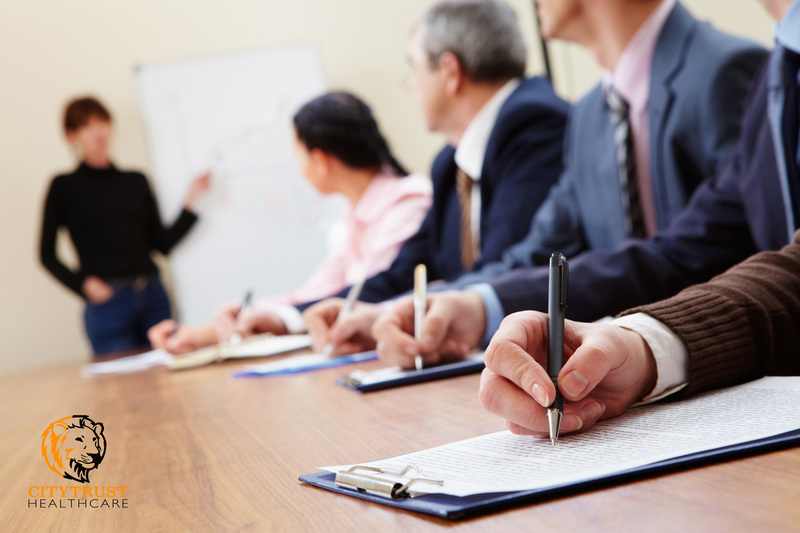 Your training is provided to you as part of your employment contract. *Please note during our courses we provide refreshments (hot drink / biscuits) but do not provide lunch. In order to obtain the Care Certificate there are 15 standards that must be achieved through learning and direct observation, a workbook will be given to each individual learner at the Induction with a checklist at the back for assessing competency. All standards will need to be assessed in the workplace by a competent person and all training and observations must be ‘signed off’ before the care certificate can be issued. Social Care Worker 2 Day Course (Induction)(Day 1 - 7 hours, Day 2 - 7 hours) - £150 per person (£600 for 4 - 10 people). This course is an introduction to the care certificate for Health and Social Care.